NETGEAR, Inc. (NTGR - Free Report)	recently announced the availability of four new routers that support the latest Wi-Fi networking standard, Wi-Fi 6 (802.11ax), to meet households’ increasing demand for higher bandwidth. The networking equipment maker’s latest family of Nighthawk routers provides the benefits of Wi-Fi 6 at reasonable price. With the new Nighthawk Wi-Fi 6 router, customers can enjoy better connectivity and greater capacity for various smart devices at home. Offerings include Nighthawk AX4 4-Stream AX3000 Wi-Fi 6 Router (RAX40) for $199.99; Nighthawk AX8 8-Stream AX6000 Wi-Fi 6 Router (RAX80) for $399.99; Nighthawk AX12 12-stream AX6000 Wi-Fi 6 Router (RAX120) for $499.99; and Nighthawk Tri-band AX12 12-stream Wi-Fi 6 Router (RAX200) for $599.99. Notably, Wi-Fi 6 delivers up to four times better performance than Wi-Fi 5 (802.11ac) using advanced technologies such as Orthogonal Frequency-Division Multiple-Access. It works on both 2.4GHz and 5GHz band and is fully compatible with previous generations of Wi-Fi. 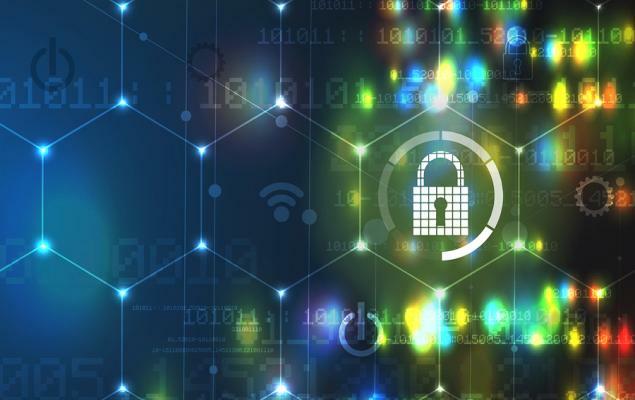 NETGEAR’s top line is benefiting from the rapid surge in Internet connected devices, which has boosted the need for robust networking solutions. An increased market demand for smart home and connected products such as smart TVs, game consoles, HD streaming players and security cameras, among others, continues to drive innovations in networking space. NETGEAR focuses on introducing coveted products into growth areas, which form the basis of smart homes. It strives to be the provider of industry-leading networking and smart connected products for consumers, business and service provider markets. In addition, NETGEAR is gaining from the healthy market traction of Orbi, cable modems and gateways coupled with its SMB switching portfolio, particularly the PoE and ProAV switches. It continues to capitalize on technology inflections, create new categories and build recurring revenues to sustain its market position and drive future growth. The company believes that it will be a leader in new product introduction on the back of Wi-Fi 6 standards alongside the world’s first millimeter wave 5G device. In order to benefit from the increasing demand for cloud-based applications for small and mid-sized enterprises, NETGEAR plans to introduce next generation commercial products. 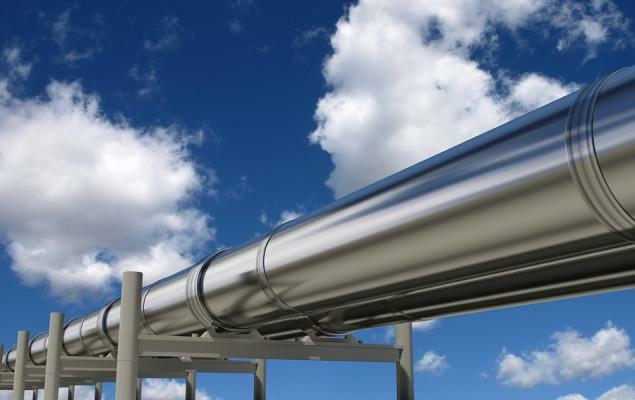 Technological advancements are likely to expand the effectiveness of its hybrid cloud access network and provide a competitive edge to outsmart its rivals. 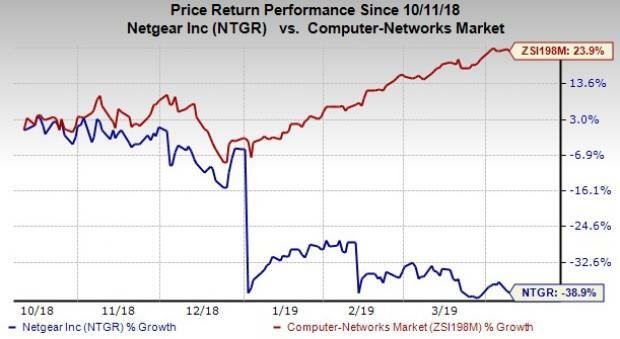 Shares of NETGEAR have incurred an average loss of 38.9% against the industry’s rise of 23.9% in the past six months. The downslide can be largely attributable to management’s decision to separate Arlo Technologies, Inc. On Dec 31, 2018, NETGEAR completed the spin-off of the Arlo business through a distribution of 62,500,000 shares of Arlo stock to its shareholders. Prior to that, the company owned nearly 84.2% of Arlo stock. NETGEAR currently has a Zacks Rank #3 (Hold). A few better-ranked stocks in the broader industry are T-Mobile US, Inc. (TMUS - Free Report)	, CenturyLink, Inc. (CTL - Free Report)	and Juniper Networks, Inc. (JNPR - Free Report)	, each carrying a Zacks Rank #2 (Buy). You can see the complete list of today’s Zacks #1 Rank (Strong Buy) stocks here.